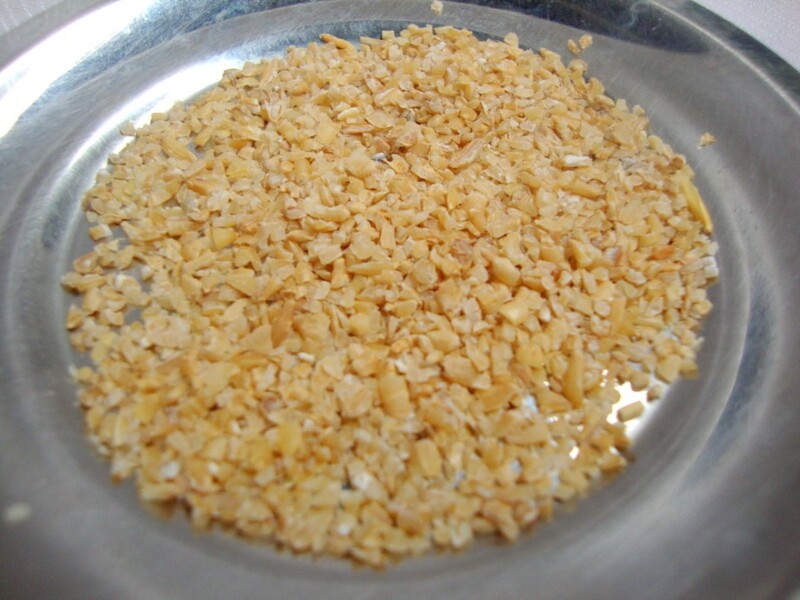 Broken Wheat Sweet Porridge | Samba Godhuma Sakkara Pongal | Ugadi 2011 Greetings! Ugadi Greetings to all my dear readers and Friends. We are slowly getting back to normal things. Never thought a simple cold and cough can be so terrible. The day is special in another way being I completed 6 years at my current office. Our management has the wonderful gesture of sending flower bouquet and a signed card. Every year I get that, it makes me feel so good. More than my own reaction, I love the way my family reacts. 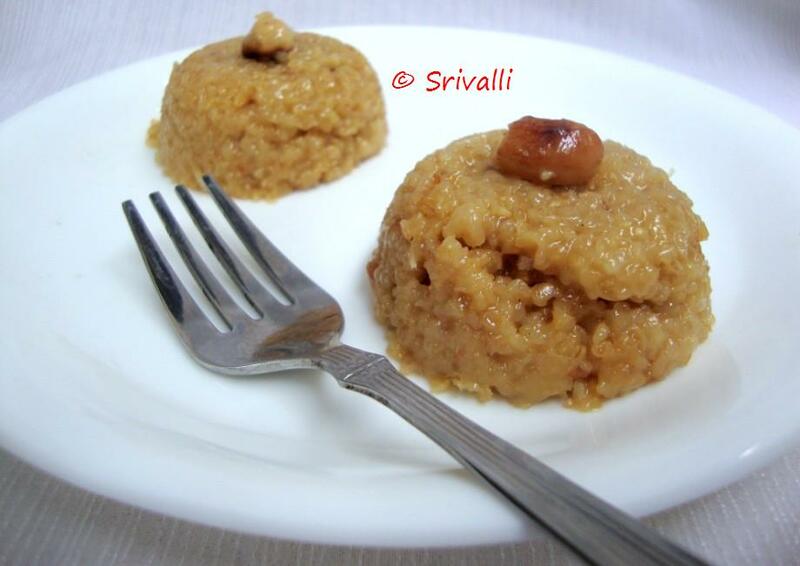 Getting back to the sweets that one can make, this sweet pongal is made with Samba Godhuma. Turned out so well. 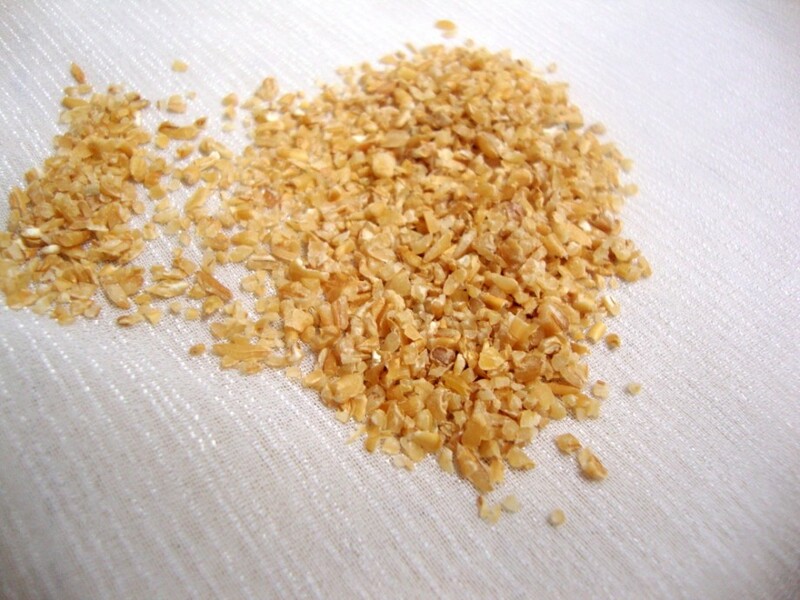 Boil the broken wheat with water and milk until done. Melt jaggary in another pan. Remove scum if any. Once wheat is boiled, add the jaggary to the pan. Cook till everything gets well mixed. Finally add Sonti, Fennel and Cardamon. Both Sonti and fennel are optional but adds great taste. U have a lovely blog with wonderful recipes and pics. Happy Ugadi Srivalli and congrats too! this is a very nice sweet!…I used to love it a lot!…its been long since I made this! very tempted now! Belated Ugadi wishes to you too.Hope you are feeling good now!! Innovative pongal with brken wheat. Sounds delicious. Happy Ugadi. Happy Ugadi to u too..Hope u feel better soon..love the cracked wheat halwa..been a while since I made this! Lovely looking one… healthy too.. YUM! Thank you for the wishes everybody! 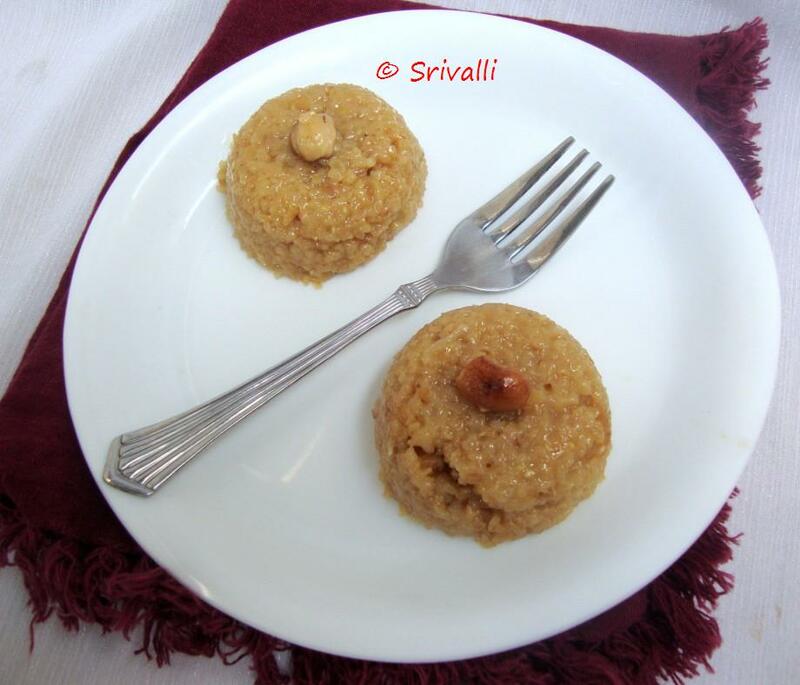 This Pongal looks awesome dear..
We have a similar kind of preparation in Sindhi cuisine too. I love wheat and really want to try this recipe. It sounds healthy and delicious. Healthy and yummy recipe.. looks gr8 !! Tale of two Beerakaya ~ One being the Beerakaya Kura or Ridge gourd curry! A plate for a Balanced Breakfast!